Visitors who browse your website and subscribe, they do it for a reason. They care about what you have to say and expect something from you. A welcome email campaign is the least you can do in order to introduce them to your brand, the products you offer and convince them that you can make their everyday life better whether you offer services, cosmetics, clothing or electronics. In summary, the welcome email is a branded campaign with the goal to explain what you offer, in the context of a series of warm messages, welcoming the new subscriber to your family. You can use the opportunity to let them know that they will be receiving offers and news from you. A common e-commerce practice is to give an offer on their first purchase. Automate welcome emails set the tone of the relationship between a potential customer and a business. When they are crafted effectively, they can both build excitement about a business in a consumer and help a business build a high-quality, accurate list of leads. 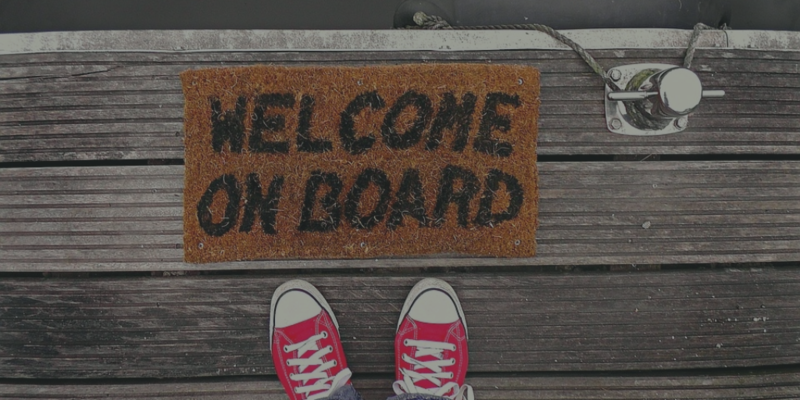 Why Do Automated Welcome Emails Matter? Studies on email marketing show that welcome emails matter, especially since consumers are most engaged with a brand within 48 hours of subscribing to their newsletter. Automated emails ensure that a consumer hears from a company right away when he’s on the pick of engagement with your brand. Automated welcome emails also benefit e-commerce businesses because they help save marketing teams’ time and energy. This removes the need to send emails to new subscribers manually. They can also help companies immediately confirm whether a subscriber has provided a valid email address or a fake one. This guarantees that marketing resources are spent on real, interested consumers. Because automated welcome emails are so important for e-commerce, it’s important to craft ones that work. The following examples show how an e-commerce business can write effective emails that help convert leads to paying customers. Studies have shown that welcome emails are opened four times more than other bulk promotion emails, which is why you should be clear about what you want your subscribers to do once they read the email. Do you want your subscribers to follow you on social media? Or do you want them to know about specific items on sale? Whatever your objective for your welcome email is, make it obvious and include a clear call to action within the email. As subscribers are likely to read the first email they receive, they give companies a good chance to lead potential customers down the sales funnel. A great example of an effective welcome email with a clear objective is this welcome email from Kate Spade. 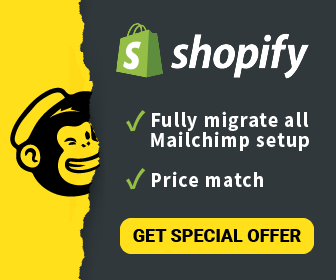 The email welcomes subscribers, offers them a discount and attracts click with a brightly-colored button that makes it easy for them to claim that discount. Marketers should create several versions of automated welcome emails using different subject lines, based on the context in which a user signs up for a mailing list. As with every aspect of email marketing, testing is quite important. You should create variations of welcome emails in order to see which one performs best. In order to evaluate different scenarios, you should evaluate important email marketing metrics such as open rates, click-through rates, conversion rates and other engagement metrics. When you figure out which scenarios worked best, then you should tailor the automated welcome email accordingly. Welcome emails that consumers receive from your e-commerce business should be timely and relevant. Welcome emails can mention upcoming holidays or events, and marketers should ensure that the automated series is updated often in order to stay pertinent. Furniture company CB2 does an excellent job updating their welcome emails regularly. This seasonal welcome email, sent by the company during the fall, flawlessly incorporates wintry, holiday-theming. Managing customers’ expectation is always a daunting task. Marketers should automate welcome emails to let subscribers know what to expect in the subsequent emails. E-commerce companies should also make it known to consumers why receiving emails gives them value, and how they can benefit by continuing to stay subscribed. This welcome email from Huckberry does this masterfully. It lays out what recipients can expect weekly, so they won’t be surprised by anything that arrives in their inbox. Email marketing is a powerful tool — but you need to make sure people stay on the loop in order to make it work. Laying out an effective automated welcome series for your e-shop is the first step to begin engaging your potential customers to stay in the loop — helping to ultimately convert them into paying ones.